Even if you’re not up-to-date on all the events going on around campus, there is one thing you must have noticed — the constant construction. And if you miss the months-long restoration on the fountain like I do, you’ll want to check out these other fun sites, which I’ve helpfully rated for your convenience. Everyone knows this construction site, situated across from Neville Scarfe and stretching down University Boulevard to the Bookstore. This is one of those construction sites that seems like it has gone on for time immemorial and will continue until the sun explodes. What did the building look like before? What will it look like afterwards? Here’s hoping we won’t all graduate without finding out. 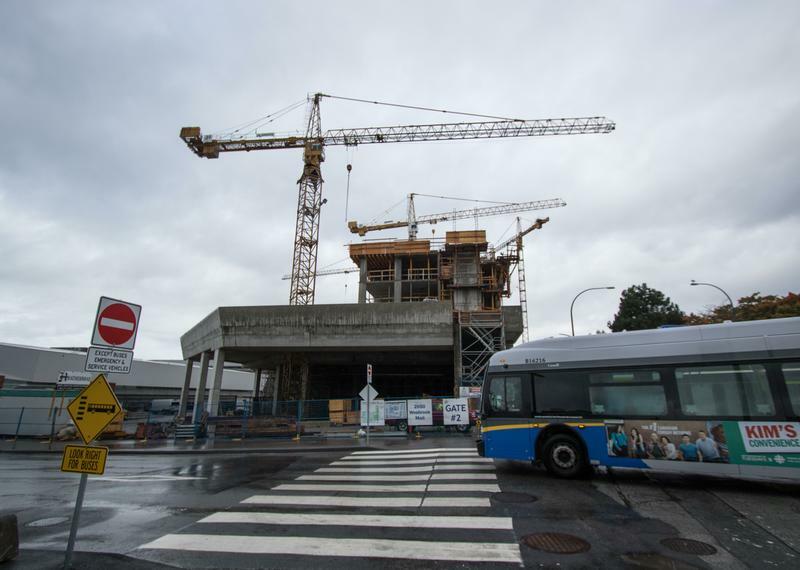 If you’ve ever taken a bus from UBC in your life or even just walked to the Aquatic Centre, you’ve seen the big pit in the ground. The pit itself isn’t bad, it can be fun to look down and see what’s going on. However, the thin pathway from the aquatic centre to the Life Building is not great, especially when you’re running to catch a bus and they’ve blocked the path to let some dumb truck through. Like the name suggests, this one is pretty boring. Nothing new is even being built, it’s just some reinforcements and restoration. If you’re a science student and use those buildings, maybe it’s important to you, but it doesn’t really matter to the rest of us. If you take the 84 or the 44, you may have noticed this construction site by the Student Recreation Centre. This appears to be the closest to completion of all the projects on this list. This beautiful new residence building stands over you as you’re waiting for the 44, reminding you of the email you got when you applied for housing in second year and were number 1650 on the waitlist.